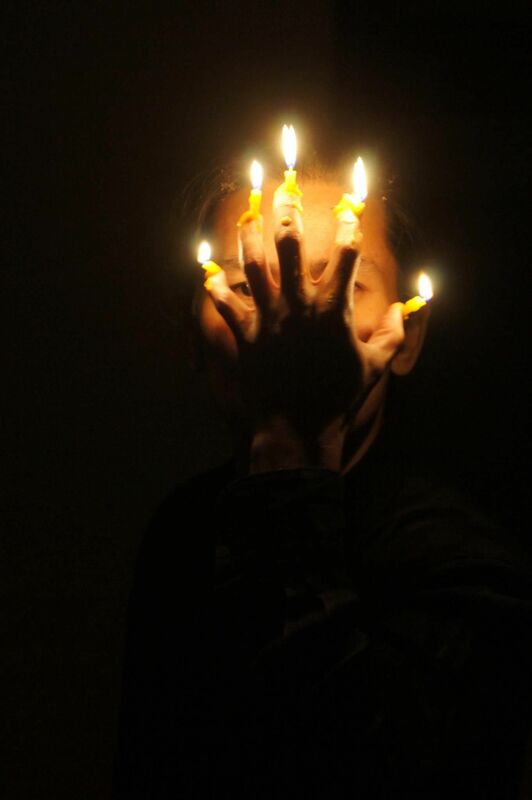 Jason Lim, Duet (Light) I and II (2012), live durational performances and photographic exhibition Nature/Portrait/Study at the VENICE INTERNATIONAL PERFORMANCE ART WEEK 2012. Image © Daniela Beltrani. Born 1966 in Singapore. Lives and works in Singapore. Jason Lim, being a ceramic artist, works with fragility and frail objects and situations also in his performances. Lim’s performances often play on boundaries of risky precarious situations, teasing the audiences with a cheeky use of the materials tracing the space. He tells about what is yet to come, what already is, what will never be, what is in Singapore and not there and what is in his body when he performs. He shows that meaning comes and goes and tells about the ridiculous task of trying to find it and pin it down. Jason Lim is co-director of the platform for Live art FOI Future of Imagination in Singapore. He has participated in various international performance festivals and had taken up residency programs in Japan, The Netherlands, Australia and U.S.A. In 2007, Lim presented his work in the Singapore Pavilion for the 52° Venice Biennale, and in the same year he was awarded the Juror Prize in the 4° Ceramics Biennale in Incheon, Korea. At the VENICE INTERNATIONAL PERFORMANCE ART WEEK, Lim presents a photographic work documentation Nature/Portrait/Study, the live performance Duet (Light), and speaks about The Future of Performance art in Singapore.